You might have heard (or felt) the push of the printing industry towards a “greener,” and more sustainable philosophy. It’s almost certain that you’ve talked and/or read about the following issues recently: paper made from sustainable forests, recycled content, soy inks, biodegradable substrates; the list is long and growing even longer. In the midst of all of this change, several agencies are at work trying to regulate, codify, and yes, profit from the trend towards environmental conservatism. And while most of this is good, it is still fairly amorphous. In light of the potential confusion that still exists while these agencies and policies are smoothed out, we at CSI are taking a more measured approach. Until the standards and governing bodies (FSC, SGP, SFI, etc) have created an intelligible and sensible standard, CSI will most likely not be applying for any particular certification. That said, we strongly feel that environmental responsibility is an essential part of our business model going forward, and will continue to be so for the long term. Employ and continue to purchase equipment that runs as cleanly and as environmentally friendly as possible. Evaluate the environmental impact of any new equipment purchase. 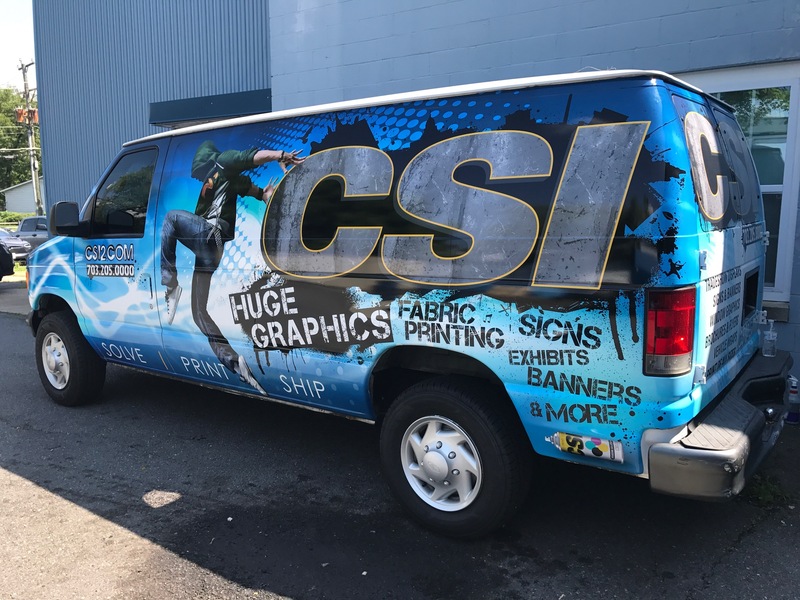 Whether it is a new wide-format printer or piece of bindery equipment, CSI will analyze the impact that hardware has on the environment (if any) and do our best to address the issues that arise. Make available to our clients several substrates and media choices for their print projects that utilize many environmentally friendly practices. We already have sources who provide bio-degradable vinyls, recycled mounting boards, and even bio-degradable laminate. While some of these materials are costly, we will offer them as options at our best possible pricing. Continue to research new products and materials as they become available. In other words, keep the environmental aspect in focus regardless of what direction we go. It is our hope that our suppliers and other industry players will share our goals in this arena. And if you, our customer, have any suggestions or ideas that can help us, never hesitate to let us know.